Pvt. Viola F. Holland, daughter of Mr. and Mrs. J. F. Pauley, Olney, attended Gainville High. 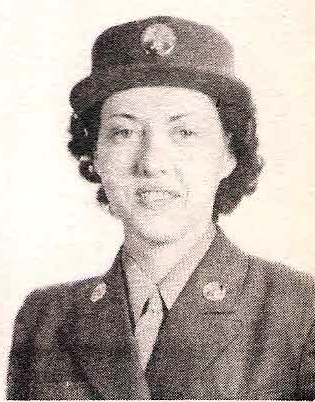 Entered WAAC, 1943, trained at Ft. Oglethorpe, Ga. and Camp Lee, Va. Awarded Service Stripe and GCM. Discharged in 1945.